Oh, excuzes-moi! takes over the maze lounge ever 4th wednesday the month. Also this month with some special holiday atmosphere. We offer you a liquid christmas meal at the bar. Our holy barman will make you the drink you need to dance and sweat the heavy christmas pounds away. 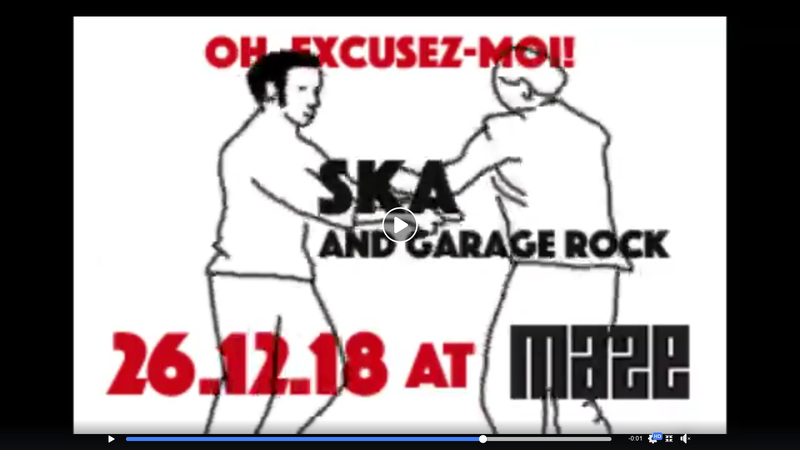 This time we combine SKA, Rocksteady and Reggae with UK Garage Rock. We welcome every music lover to join us and to listen to some unique and favorite tracks.